I last spoke about surveillance at TEDx Warwick. This is here. I will be appearing at Digital Dystopias, a Hull City of Culture festival that explores how digital technology is transforming society and shaping our collective futures through award-winning cinema, virtual reality, literature and performance. The panel is "Privacy, Hacktivism and the Politics of Surveillance in a Digital Age" - 6pm on Monday 13th Feb. This is here. You can read my comments about the revelations by Edward Snowden about PRISM and Tempora here. 21 Oct. 1941 Four code-breakers appeal for more resources and Churchill orders "Action This Day"
1958 Berlin tunnel translators move from SIS to GCHQ and are designated the "London Processing Group"
24 May 1979 NSA Director Bobby Ray Inman writes to Brian Tovey about "Collection of Information on U.S. Persons"
13 Nov. 1986 BBC Governors express disquiet regarding a series of documentaries by Duncan Campbell called "Secret Society"
29 Jan 1987 Alastair Milne is asked to resign as Director-General of the BBC following controversy over "Secret Society"
6 Oct. 1993 Channel 4 broadcasts Duncan Campbell's documentary on Menwith Hill called "The Hill"
9 Apr. 2008 UK tightens regulations for American U2 imagery/sigint flights from Cyprus codenamed "Cedar Sweep"
16 Nov.2011 William Hague (SoS FCO) gives a speech on the UK intelligence services entiteld "Securing Our Future"
This is a sober and valuable work of scholarship, which is as reliable as anything ever is in the twilight world of intelligence-gathering. Yet there is nothing dry about it. Aldrich knows how to write for a wider audience, while avoiding the speculations, inventions, sensationalism and sheer silliness of so much modern work on the subject. Mr Aldrich skilfully weaves together the personal, political, military and technological dimensions of electronic espionage. He recognises the limits of even the most sophisticated sigint: GCHQ can track the movements of armed forces but cannot always fathom what those forces are up to. In the internet age, the agency faces two challenges: how to monitor the rivers of digitised information that flow around the world; and how to maintain political legitimacy for governments to gather and store large quantities of personal data so that the information can be searched for patterns of terrorist and criminal activity. Its work is harder than ever. Aldrich’s history was 10 years in the making and clips through all the milestones and missions, traitors and technology involved in GCHQ’s development. And we learn that the “special relationship” was born of a pragmatic postwar trade in UK territory for US gadgetry. Today GCHQ is housed in a vast doughnut-shaped nerve centre near Cheltenham in the UK that strips the ether of all digital chatter – inane, malevolent or otherwise. It is, Aldrich concludes, “a vast mirror” reflecting the spirit of the age, albeit one he fears that “may eventually enslave us”. 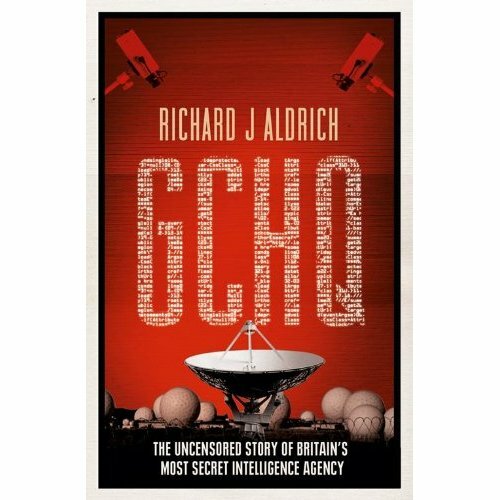 In the first line of this fine book, Richard Aldrich boldly declares that GCHQ (Government Communications Headquarters) is Britain’s last secret. If it is, he has done a great deal to uncover much of it. The book is a product of nearly a decade’s worth of painstaking research in various public archives and interviews with those involved in some of the high-political work of the agency during its postwar history. It is a testament to Aldrich’s perseverance in the darker reaches of departmental archives, stretching right across government, that he has managed to piece together such a comprehensive and empirically rich account of the most secret of British secret agencies. ... an invaluable read for all who are interested in the study of intelligence, surveillance and security. Richard Aldrich is the foremost historian of the British intelligence agency GCHQ ... Aldrich pays tribute to an American writer, James Bamford, who wrote a book in 1982 about the National Security Agency at Fort Meade, Maryland, entitled The Puzzle Palace. ... With his own originality and research in unorthodox sources as well as official documents, Aldrich has now done the same for GCHQ and comes down to the present. Since September 11, 2001, government wiretaps and electronic monitoring have spun out of control. GCHQ concludes with a warning at what seems to be an historic trend in the making: when sophisticated surveillance combines with biometric monitoring, universal fingerprinting, and the gathering of DNA, civil liberties are more at risk than ever before. The heroics of the Bletchley Park codebreakers in the Second World War are part of national folklore, but such is the veil of secrecy surrounding their successors, mostly employed at GCHQ in Cheltenham, that even the distinguished historian Richard J., Aldrich can only unearth a fraction of the truth. Even so, his overview of British intelligence-gathering, from the Cold War through to the age of al-Qaeda, is magisterial and engrossing.